As of 21 April 2015 Google now favours mobile-friendly (responsive) websites in mobile searches. Why should you care? Because at least half of all web searches today are performed using mobile devices. Google’s Algorithm update is a move that makes perfect sense when you consider the volume of web traffic now coming from mobile devices and Search Engines mission to deliver usable, quality results to their users. What does not make sense is that most small business websites and almost half of the industry giants still have sites that are not mobile-friendly at all. TechCrunch recently ran a test where they crawled every Fortune 500 web site using the Google PageSpeed Insights API to identify those sites that are at risk of being penalised by Google’s update on April 21. 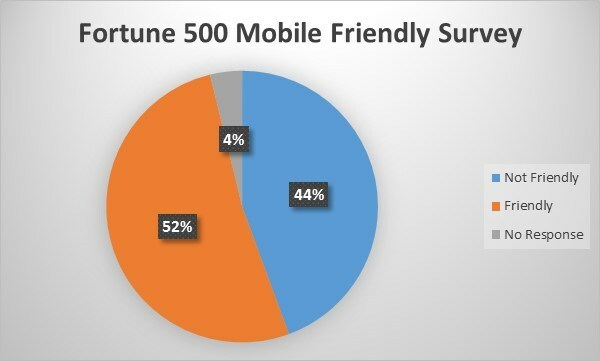 They found that 44% of top Fortune 500 companies are currently not mobile-friendly at all, and another 4% of sites did not produce a response. 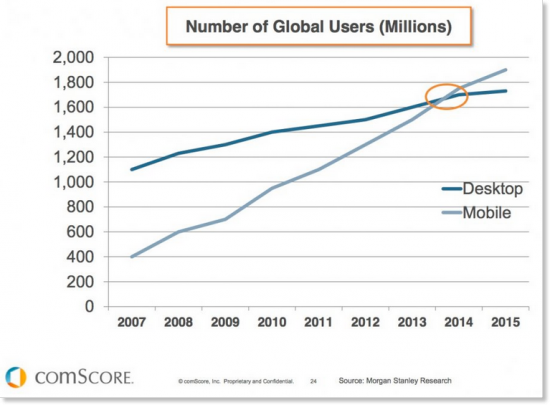 We passed the mobile Tipping Point about a year ago as this report from comScore shows. So it’s no longer a case of asking whether mobile marketing and responsive website design is important. It is now important to use your website Analytics to understand how your mobile consumers behave and what their preferences are on your site (and should you offer an App or just an improved mobile website experience? ).